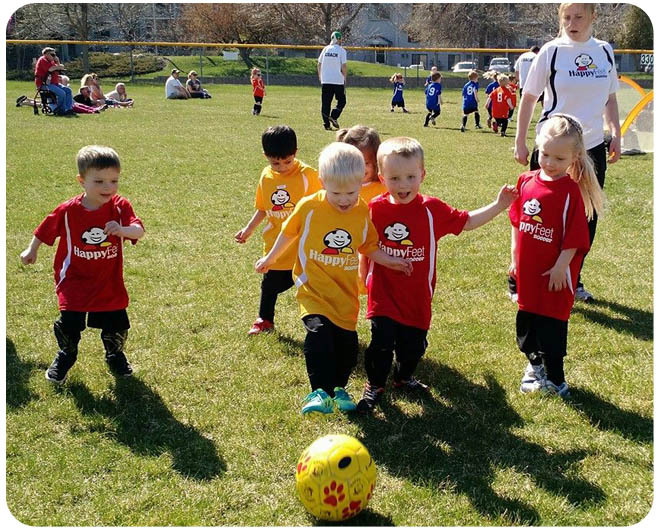 The HAPPYFEET LEAGUE is an excellent opportunity to see your little one further develop and showcase his/her HappyFeet soccer skills. Our league curriculum maximizes fun and friendship to ensure your child always wants to come back! We have found that parents & grandparents enjoy the league program as much as the kid. All of our Sessions are divided into four categories: Little Toe's, Big Toe's, HappyFeet and Advanced HappyFeet. 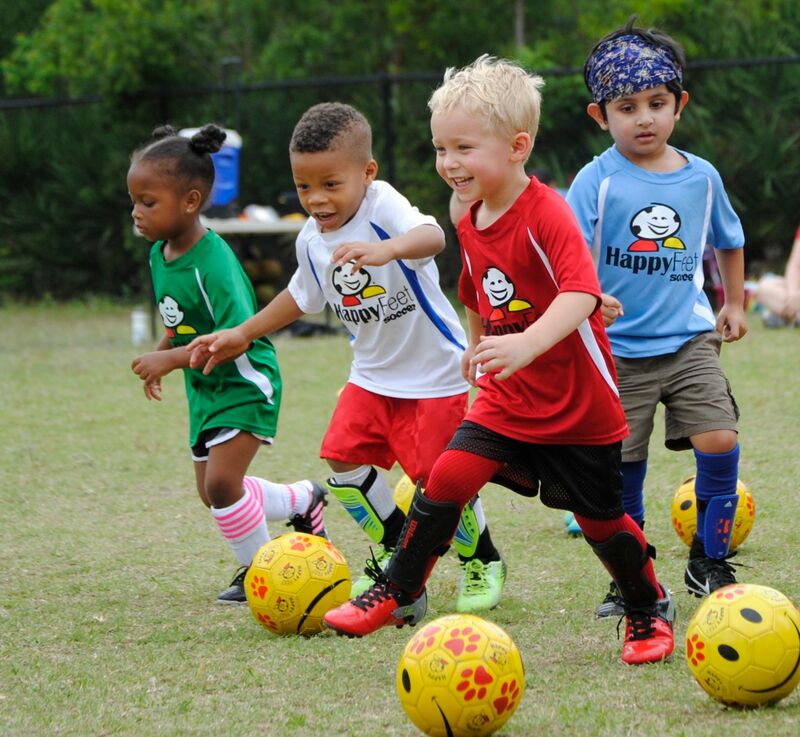 LITTLE TOES (2's) Each Session is a 30 minute HappyFeet Soccer class. During the class your child will enjoy many dribbling and ball striking touches to prepare them for our "Mommy, Daddy, and Me Goal Scoring spree". The League Goal Scoring follows the HappyFeet Class and Parents are able to stay with their little ones until the end . The HappyFeet League is on weekends. It is offered for all children ages 2 - 6. The kids are grouped with their friends in teams of similar ages from the same school. This is the perfect way to make team play great fun and introduce kids to organized team sports. They have a blast because they’re familiar with their HappyFeet coach, the HappyFeet approach and their friends from school!